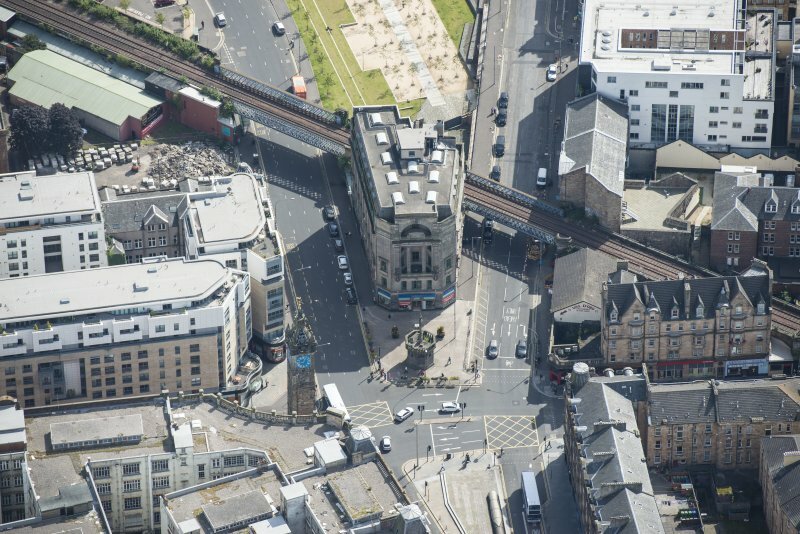 Oblique aerial view of the Trongate, Tolbooth Steeple and Mercat Building, looking SSE. 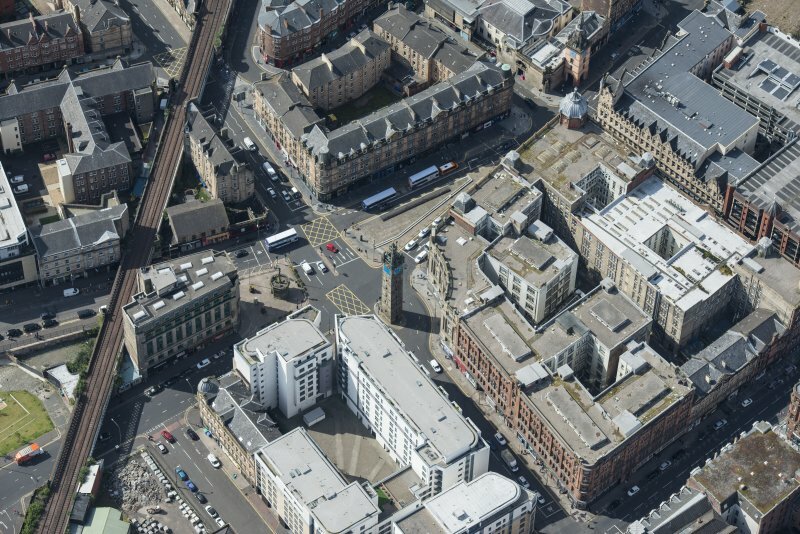 Oblique aerial view of the Trongate Tolbooth Steeple, Mercat Building and Mercat Cross, looking SW.
Oblique aerial view of the Trongate, Tolbooth Steeple and Mercat Building, looking WNW. Glasgow, Charles Street, Royal Bank of Scotland. 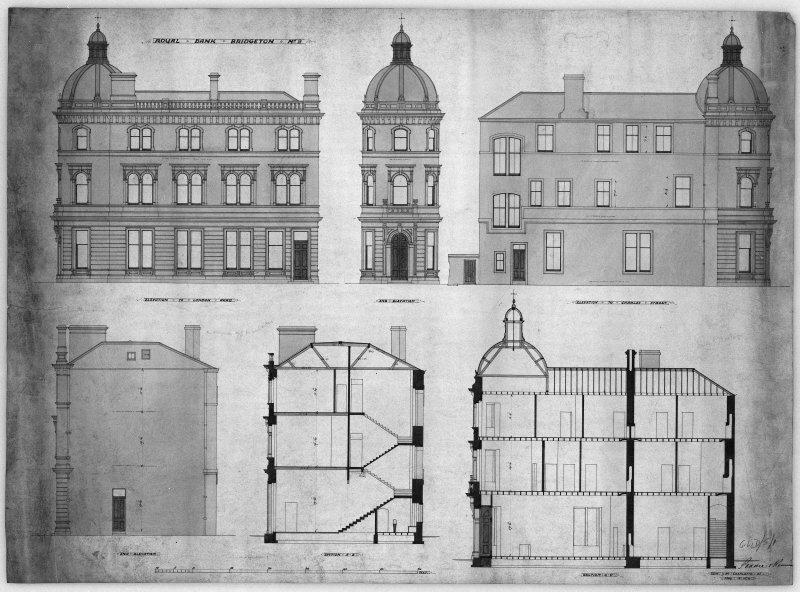 Elevations and sections. Titled: 'Royal Bank of Scotland, Bridgeton No.1' 'Edinburgh, Charlotte Street'. 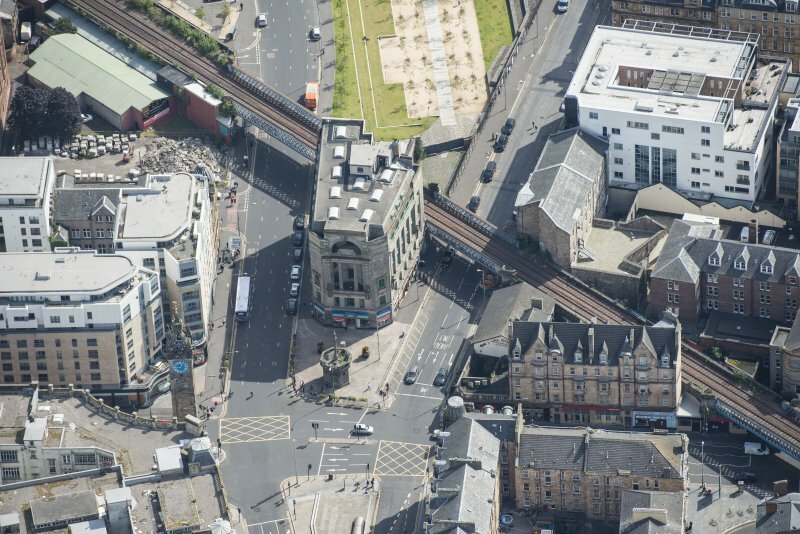 Oblique aerial view of Trongate Tolbooth Steeple, Town Hall and Tontine Hotel, looking NNW. Glasgow, Charles Street, Royal Bank of Scotland. Plan of ground, first, second and roof floors. 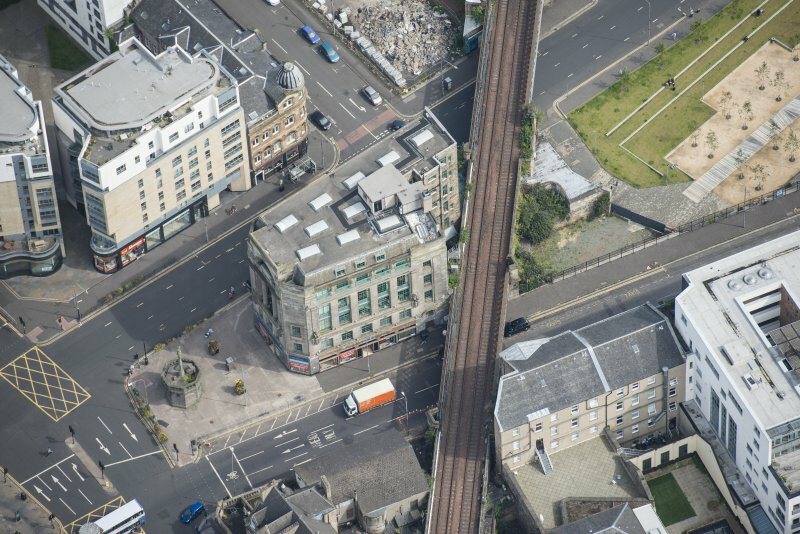 Titled: 'Royal Bank of Scotland, Bridgeton No.1' 'Edinburgh, Charlotte Street'. 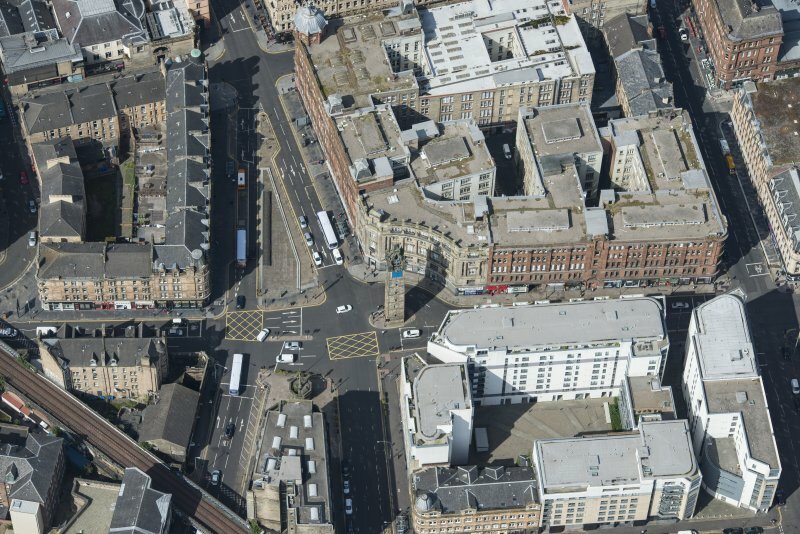 Oblique aerial view of the Mercat Building and Mercat Cross, looking NE. 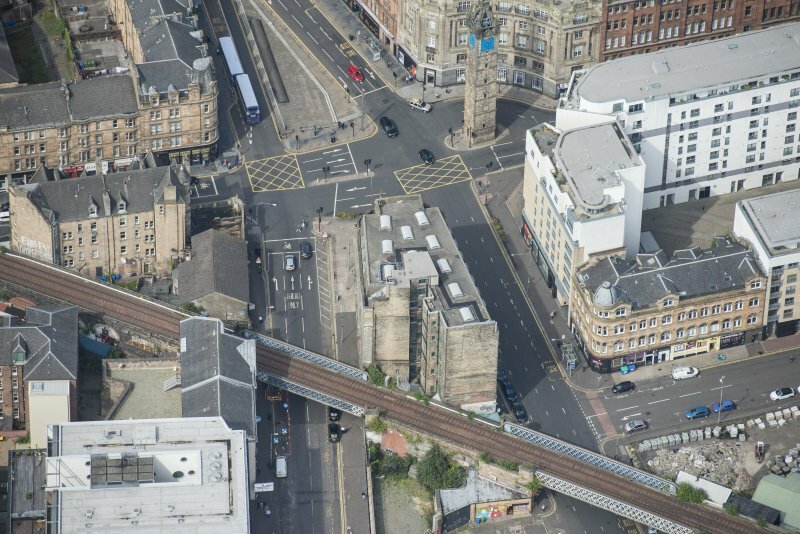 Oblique aerial view of the Trongate Tolbooth Steeple, Mercat Building and Mercat Cross, looking NNE. Glasgow, 17 London Road, Royal Bank of Scotland. Architect: Peddie and Kinnear 1874. 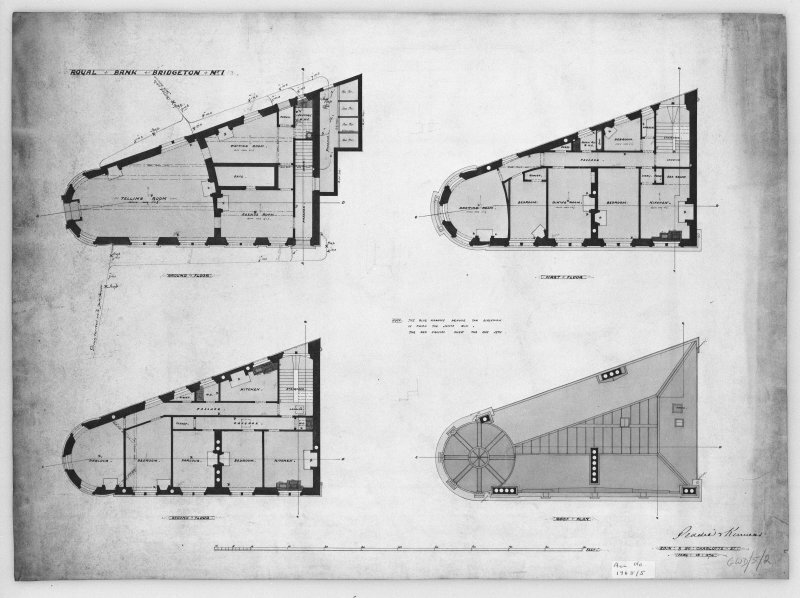 Plans: N.M.R.S Peddie and Kinnear, 1874 - 2 sheets of elevations, plans and sections. 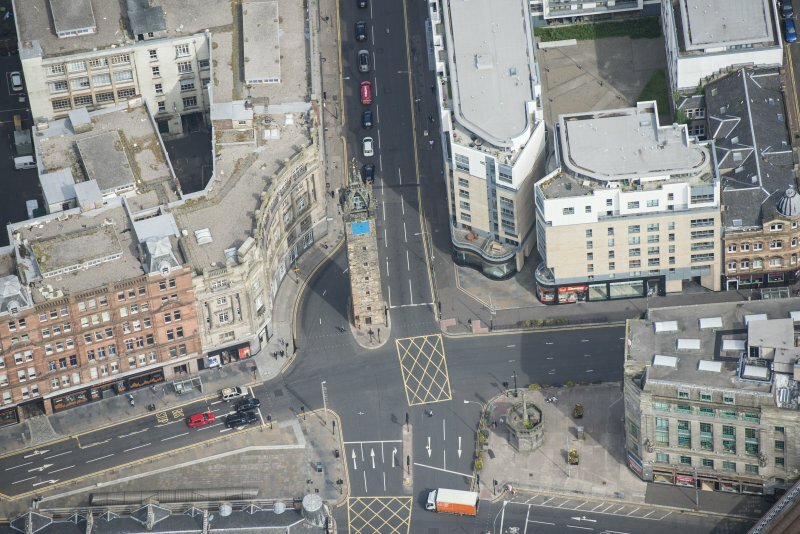 Bank located on London Road and the original Charles Street located using Post Office Directory 1902-1903 (see bibliography) map.